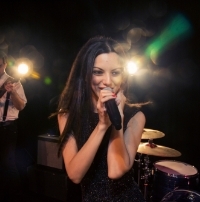 Here is a selection of offers featured across the County Wedding Magazines' platform. Why don't you buy a copy now to find more offers from companies in your local area? 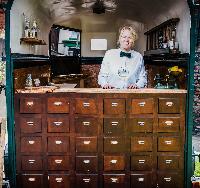 The Gin Joint offers a beautifully restored horsebox turned mobile bar for your wedding. 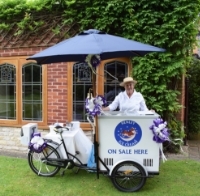 Perfect for al fresco big days or as a quirky talking point outside your venue, the bar will certainly keep your loved ones happy. “We support local distilleries wherever possible and pick complementing garnishes for all our drinks,” says owner Carly Timmins. 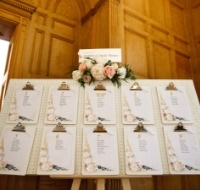 The lovely Carly is offering Your Cheshire & Merseyside Weddin readers two cases of fizz free of charge with every new gin bar booking made before 30th April, 2019. Simply mention the magazine when enquiring. 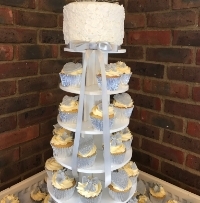 Angel's Kitchen makes delicious bespoke wedding cakes with incredible attention to detail. 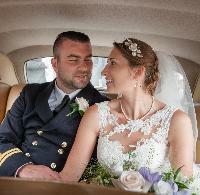 Based in North Somerset, owner Kerry Hemms caters for nuptials in Bristol, Bath and all surrounding areas. For those with special dietary requirements, the company also offers vegan, gluten- and dairy-free options. 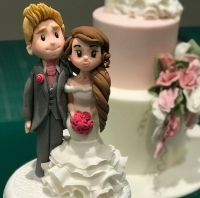 We've teamed up with Kerry to offer the first five readers to place new wedding cake orders free handmade cake toppers of themselves and their partner. Simply quote code YBSW to claim when booking before 30th April, 2019. Head over to www.angelskitchen.co.uk for more information. 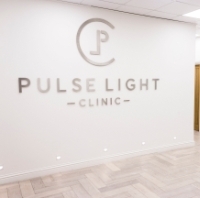 Pulse Light Clinic is offering new clients £50 off any package (Laser Hair Removal, Skin Treatments, Laser Tattoo Removal) or a £100 discount on any Cool Sculpting package throughout March and April. To claim, simply quote 'Your London Wedding' when booking. Long regarded as one of the best places to buy designer wedding dresses, Ellie Sanderson Bridal Boutique is now offering bridal boudoir photography in collaboration with Ellie's husband, multi-award-winning wedding and portrait photographer (and frequent contributor to this magazine) David Bostock. Capturing brides-to-be just before the wedding, boudoir photographs are the most amazing and personal gift to give a groom. Visit www.elliesandersonboudoir.co.uk to find out more. Ellie Sanderson Boudoir is making an exclusive offer to Your Berks, Bucks & Oxon Wedding readers: £100 off its usual luxury Boudoir photo shoot price of £295 booked before the end of April 2019 and used before 30th October, 2019. Just quote the magazine when you book. Nottingham's DressPlace Bridal Boutique situated within The Courtaulds Building in Sherwood is brimming with designer gowns, bridesmaid dresses, accessories and mother-of-the-bride outfits. At the same location is its sister company, Brides & Mothers Designer Wedding Outlet, where you'll find hundreds of gowns to suit all budgets. We've teamed up with DressPlace to offer our readers a free veil up to the value of £100 with every wedding dress purchased priced more than £999, before 31st May, 2019. Visit www.dressplace.co.uk or call 0115 924 2409 to make your appointment. 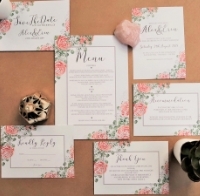 Topikki specialises in bespoke, hand-crafted wedding stationery. 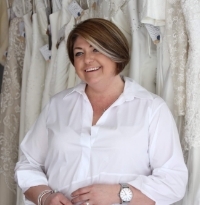 “My sole aim is to create something that reflects my customers' personalities,” says owner Gaynor Page. 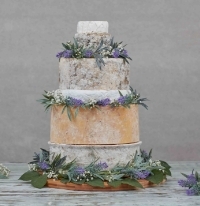 All items are designed in consultation with the couple to incorporate their ideas and wishes; Gaynor then produces them to an exceptionally high standard. 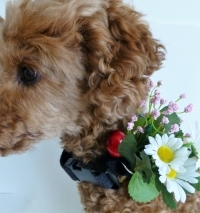 There's a designer range to choose from or you can even attend a DIY workshop. Drakes, a family-owned Plymouth-based jeweller, offers high quality, wow-factor wedding jewellery to suit all budgets and tastes. 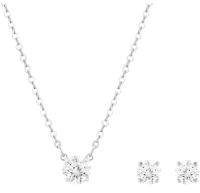 Pieces include wedding bands, diamond engagement rings, bridal earrings, bracelets, necklaces, and groom's watches and cufflinks. There are also many different types of gemstones available, including amethysts, opals and sapphires. Drakes are offering readers of Your Devon & Cornwall Wedding magazine a complimentary wedding guestbook when purchasing both of their wedding rings in store. Call 01752 227 775 to find out more, or visit the store in the Upper Mall at Drake Circus Shopping Centre, 1 Charles Street, Plymouth, Devon, PL1 1EA quoting YDCW. Visit www.drakesjewellers.co.uk to view the collections. Honour Health aesthetic dental and skin clinics, based in Jesmond, Ponteland and Stanley, provides a range of rejuvenating, non-surgical skin treatments to boost skin health and wellbeing. 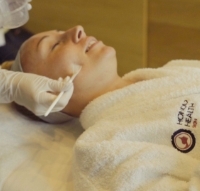 The three clinics are offering Your North East Wedding readers 10 per cent off any skin treatment, including chemical peels, laser hair removal, eDermastamp micro-needling, dermal fillers, muscle relaxants and plasma facials. 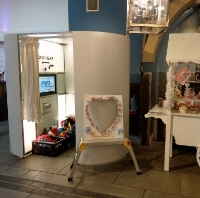 Visit www.honourhealth.co.uk for more info, quoting Your North East Wedding to receive your discount. 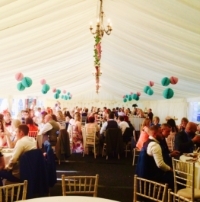 To redeem the offer, simply quote Your Cheshire & Merseyside Wedding when enquiring. Jessica Bakes-Well is an independent Southport business, which started in 2013. 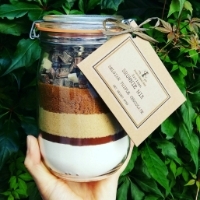 Owner Carol Darbyshire manufactures Great Taste Awardwinning cookie mixes, and has recently launched mini versions with personalised labels and rolling pins for wedding favours. 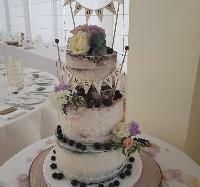 Carol is offering a free large brownie mix with every new wedding favour order that's placed. Simply quote the magazine when booking. 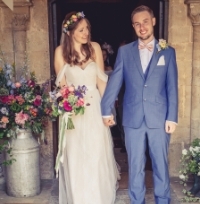 Jessica Wells of Leicestershire's Jessica Mary Flowers is passionate about all things weddings and offers a personal, fun approach to make sure your big-day blooms make you smile! With her ever-growing collection of décor items and more than 13 years' experience in the industry, she'll work with you to create the look of your dreams. 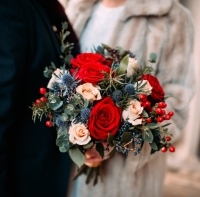 If you haven't ordered your flowers yet you're in luck, because couples that quote 'Your East Midlands Wedding' when booking a free consultation at Jessica Mary Flowers will receive five per cent off the total of their order. Call 01858 468 583 or check out www.jessicamaryflowers.co.uk for more information. Specialising in new, sample and immaculate pre-loved high-end designer wedding dresses, Wallingford's award-winning Bridal Reloved offers an outstanding experience to every bride. Call 01491 826 699 or email wallingford@ bridalreloved.co.uk for more information. We've teamed with Bridal Reloved Wallingford to offer 10 per cent off any dress purchased from the boutique before June 30th 2019. 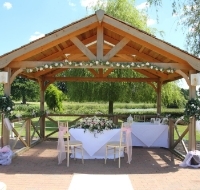 All you have to do is quote `Your Berks, Bucks & Oxon Wedding` when you buy. 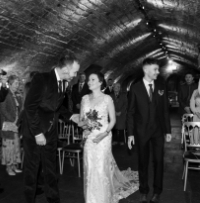 This special venue in the heart of the Devonshire countryside is an open-sided oak barn set against the banks of the Dartmoor river offering couples the chance to marry outdoors in a chic and contemporary ceremony. 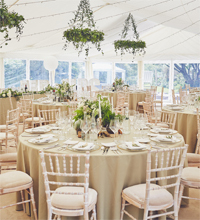 Each wedding at Ever After is different, giving couples the chance to create a day that suits them – from the catering to the styling – and the venue has launched its pop-up lounges, a great way to entertain your guests after the wedding breakfast. Choose from the Bubbles & Botanicals lounge with an Old Hollywood feel or the Whisky & Cigar lounge inspired by the Art Deco era. Each are dressed with furnishings, props and of course those all-important drinks for your guests to relax and enjoy, compliments of the bride and groom. For further information on what each lounge offers, turn to page 9. 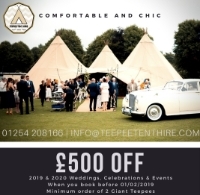 Your Devon & Cornwall Wedding magazine has teamed up with Ever After to offer readers a 50 per cent discount on the pop-up lounge price when they book their weddings for 2018 or 2019 at the venue and hire both lounges together. Call 0844 5000 501 or visit www.lowergrenofen.co.uk quoting YDCW9. International award-winning photographer Martyn Norsworthy based in Devon photographs pre-wedding shoots, real life weddings and styled bridal editorials that have earned him several international awards. His extensive wedding portfolio shows his endless talent behind the lens capturing those special moments between couples, the bridal party and guests, plus all of the wedding details. 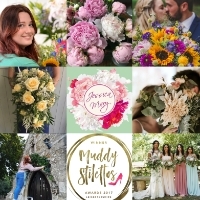 Your Devon & Cornwall Wedding magazine readers have the opportunity to book Martyn as their very own wedding photographer as he is offering couples a five per cent discount when booking a package for 2019 and 2020. Call 01548 854 044 to arrange a consultation quoting YDCW16 and visit www.norsworthyweddings.com to see examples of his wedding photography.